There is something better than having what is best in your day, and that is having the One who is the best. God is the best Person you can ever know, the best Friend you can ever trust, and the best Companion you can ever have. 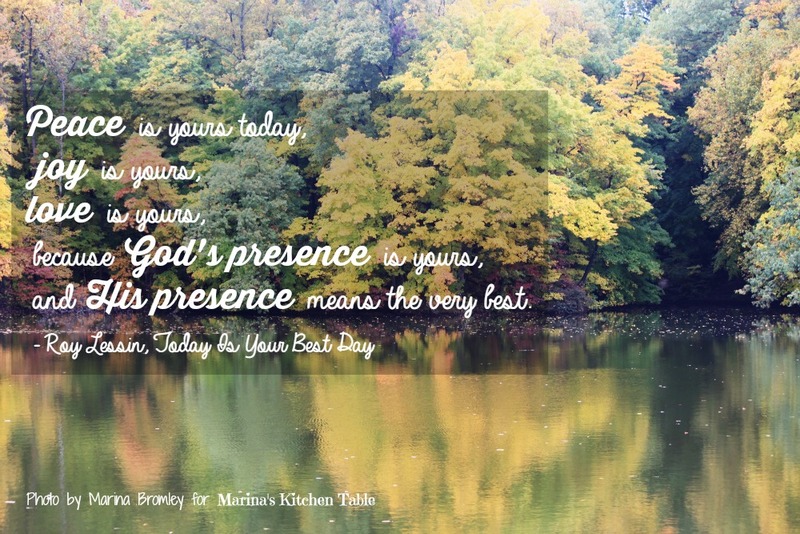 God's presence is sweet, enjoyable, and delightful. God gives you what is best because He is the best. God gives the best kind of peace. Jesus said that He would give you His peace, not the peace that the world gives. The world's peace is fragile, uncertain, and easily toppled. God's peace can withstand any storm and difficulty of life. His peace brings the glorious assurance that all is well because you are His and He is yours. God gives the best kind of joy. Jesus said He wanted our joy to be full. The world can only give momentary happiness based upon momentary pleasures, but God gives fullness of joy, a joy that runs deeper than any circumstance of life. God gives the best kind of love. His love is unconditional. God never says, "Give me a reason to love you." God loves you with a perfect love. He doesn't need a reason to love you because He is love, and He loves you with an everlasting love. Today, His heart of love calls out for you to love Him with all of your heart. There is a reason why God calls out for you to love Him with all your heart. God loves you with a perfect love. His perfect love can only desire what is the highest, the greatest, and the absolute best for your life. If He would desire anything else for you, He would be saying that He would rather have you know and experience what is second best. God commands you to love Him because He is the highest choice and the greatest good that you could ever choose. God could never say to you, "Love people more than Me; love doing good more than Me; love life more than Me; love ministry more than Me." All of these things, as good as they are in themselves, can be enemies of the best when they are in the wrong place in our lives. Peace is yours today, joy is yours, love is yours, because God's presence is yours, and His presence means the very best.